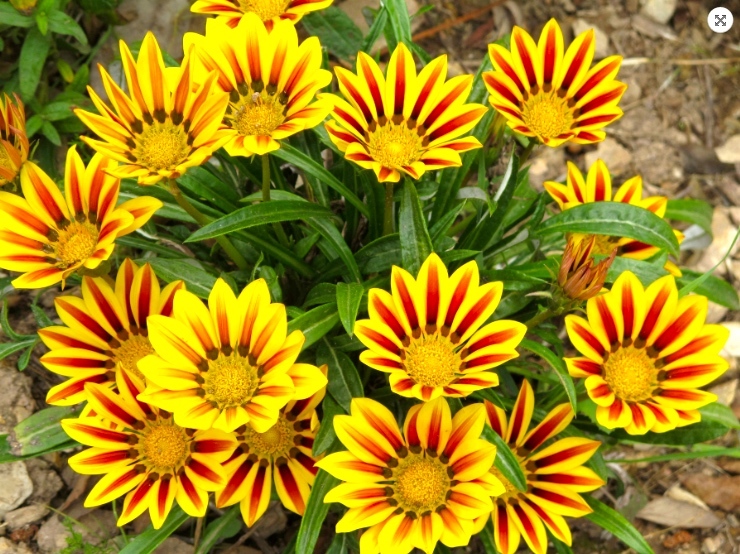 Gazania seeds and plants are frequently sold as Ganzia or African Daisies. He also wrote extensively on grammar and logic (as these subjects were understood in ancient Greece). Osteospermum … [or daisybushes] is a genus of flowering plants belonging to the Calenduleae, one of the smaller tribes of the sunflower/daisy family Asteraceae [Calendula is the genus of pot marigolds]. 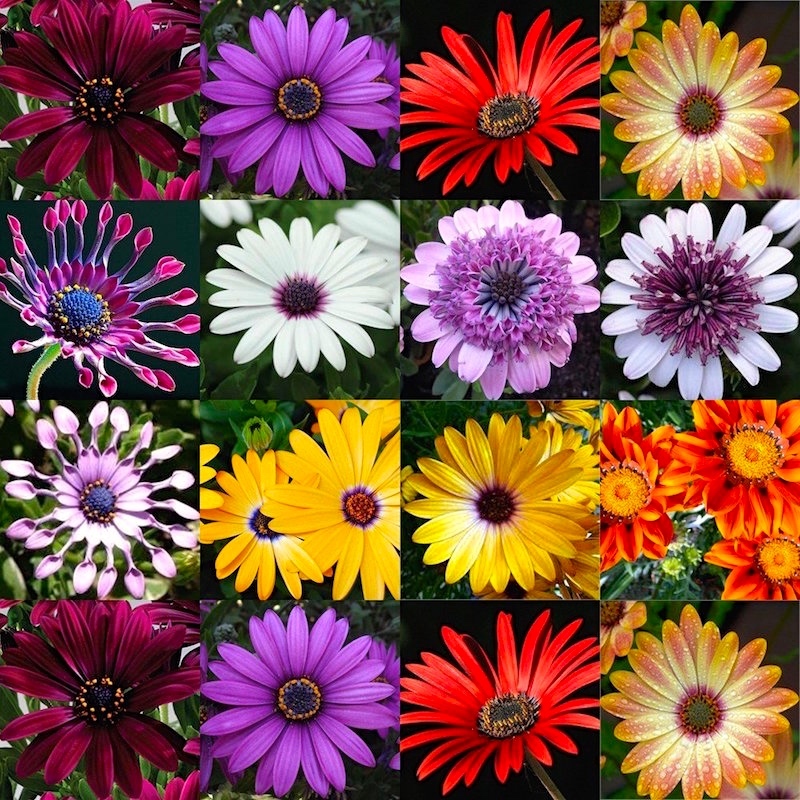 Osteospermum used to belong to the genus Dimorphotheca, but only the annual species remain in that genus; the perennials belong to Osteospermum. The scientific name is derived from the Greek osteon (bone) and Latin spermum (seed). 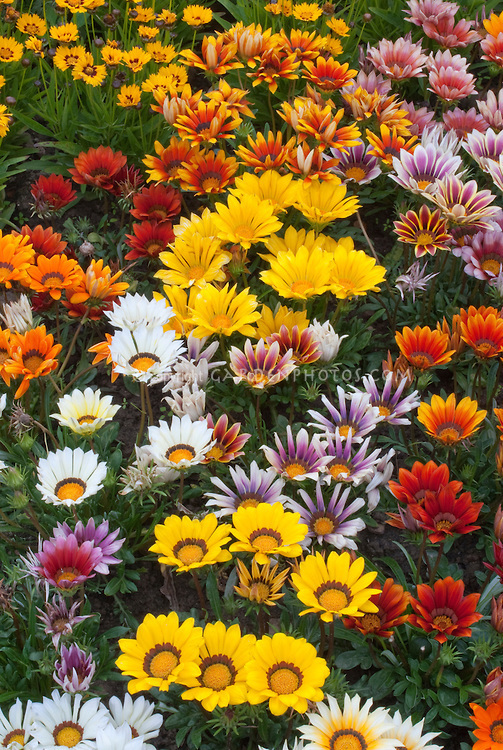 It has been given several common names: African daisy, South African daisy, Cape daisy and blue-eyed daisy [also (African) Cape marigold]. There are about 50 species, native to Africa — 35 species in southern Africa — and the southwestern Arabian Peninsula. They are half-hardy perennials or subshrubs. Therefore they do not survive outdoor wintry conditions, but there is still a wide range of hardiness. Arctotis is native to dry stony slopes in southern Africa. Some of the plants are alternatively placed in the genus Venidium. The common name is “African daisy”, or “Gousblom” in Afrikaans. These plants have daisy-like composite flowers which tend to close in the late afternoon or in dull weather, but numerous cultivars have been developed for garden use which stay open for longer, and are available in a wide range of colours. The generic name appears to come from Greek arkt– ‘bear’ + ot– ‘ear’ — a fancied resemblance in a flower-part. This entry was posted on August 31, 2015 at 3:29 am and is filed under Language and plants, Names. You can follow any responses to this entry through the RSS 2.0 feed. You can leave a response, or trackback from your own site.